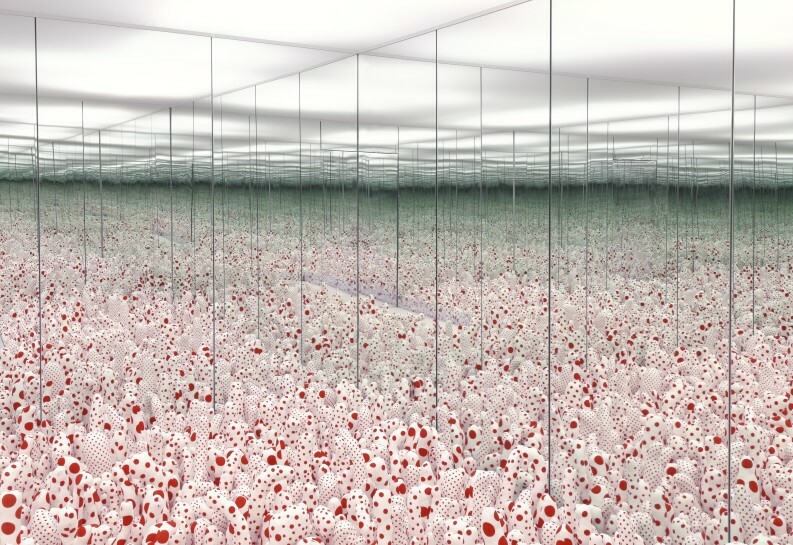 Focusing on the evolution of her immersive Infinity Mirror Rooms, the most significant North American tour of Kusama’s work in nearly two decades continues at the Art Gallery of Ontario. Image: Yayoi Kusama, Infinity Mirror Room - Phalli's Field (Floor Show), 1965/2016 (detail). Installation view, Yayoi Kusama: Infinity Mirrors, Hirshhorn Museum and Sculpture Garden, Smithsonian Institution, 23 February – 14 May 2017.